As Game of Thrones viewers begin clearing their Sunday evening schedules and restarting their HBO subscriptions, series writer George R. R. Martin spoke with us by phone about his non-TV writing projects. No spoilers ahead for those seeking insights into who will live and who will die as the TV show wraps up for good, but there is good news: Says Martin, "Winds of Winter will come out." Adrian Liang: I think that there's a sense out there among your book readers that the HBO adaptation of Game of Thrones is your first interaction with TV, but you actually started writing for TV in the 1980s. George R. R. Martin: It's by far not well known. I have some Game of Thrones fans who think Game of Thrones [the books] is the first thing I ever did, overlooking that I had 20 years in the field before that…. I saw my first professional sale in 1971. I began Game of Thrones in 1991, and it was published in '96, and so I had 25 years of publication history writing books before Game of Thrones. But there are still people who were unaware of my other novels and all those stories that I did, and, as you say, my 10 years in television. How did writing for television affect your novel writing and, vice versa, how has your novel writing affected your television writing? Well, they are different disciplines, but I actually think working in television improved my novel writing. I mean, there are certain skills that you need to write good television or film. You need a good ear for dialogue. Structure has to be a little more rigorous than it is in a novel, where you can wander around a little bit more. And when you write for commercial television...each teleplay is divided in two or four or five [acts] depending on the structure, and you end each act with an act break, which can be a cliffhanger, or a revelation, or twist. You end each act on a high note. And that's a television technique that I had to learn when I was out there [in Hollywood], but then I carried it over. If you look at most of my chapters [of the Games of Thrones/Ice and Fire books], they end on a twist or a cliffhanger or something that will hook you. So, you know, you're reading a Tyrion chapter and then it ends, and you immediately want the next Tyrion chapter but of course you don't get it. You don't get a commercial either; you get an Arya chapter or a Jon Snow chapter, and that gives the books a certain propulsive thing. So that's a technique that I picked up in television that I think is a good technique. Has that technique also helped you in your writing? As you jump from chapter to chapter, and from character to character, does [that cliffhanger] help bring you as a writer back to wanting to continue that character's story as well? Well, yes and no. I mean, I don't write the books in the order in which you read the books. Say I'm writing a Tyrion chapter. I probably go right on and write the next Tyrion chapter and then I write the Tyrion chapter after that. I'll be in a Tyrion groove for a while. And then at some point I get too far ahead of the other characters or I just hit a problem, and I say, "Okay, I'll leave Tyrion for a while." And then I go back and change my head to a different setting and get into Arya and write an Arya chapter. But then after all the chapters are written I have to weave them together, which is in itself is a challenging thing. You would be startled to know how many thousands of times I reorder the chapters in some of these books to try to get to the ultimate thing that works in terms of the chronology, but also works in terms of drama and the chapters reflecting on each other and bouncing off each other, and having a contrast or continuity. It's very challenging, and I change my mind a lot before I come up with what you ultimately see in the books. When you're moving the chapters around, are you cutting and pasting in a Word document, do you have Post-It notes all over the place, or are you storyboarding…? How does that work? No, it's moving blocks of computer text around. But it's not a Word document because I hate Word. [Laughs] I'm very old-school. I write my novels on a DOS machine using WordStar. It's getting increasingly harder to hold on to WordStar because it's not supported any more…. But I'm an old-school guy who's set in his ways, and it works for me. It enables me to forget about the outside world and get lost in wherever I'm writing about, whether it's Starport or Westeros or Wild Cards. I wanted to ask you about Wild Cards. Can you tell me about how it started and how you continue to be involved with it? Well, it's actually my oldest series. Wild Cards started five years before Game of Thrones. I'm a comic book fan. When I was a kid, I was there for the beginning of the Marvel age of comics and the first Spider-Man, Fantastic Four. I wrote letters to Stan Lee that were published in some of those issues. So I always loved comics and superheroes. And then in the '80s, I moved to New Mexico and I got involved with some of the other writers down there in a role-playing group, and one of the role-playing games we played was a game called Superworld, which was a superhero role-playing game. I was actually the gamemaster for that, and I ran it for my friends for three, four years, and it became completely addictive. We really had fun, and people created great characters. The people in the group—people like Walter Jon Williams and Vic Milan and Melinda Snodgrass—these were all writers. So we were not just rolling dice and fighting monsters; we were creating characters. It was almost like improv theater, bouncing off each other. But at a certain point it became too addictive, and I was saying, "Well, this these characters are too good just to be wasted among the ten of us here playing this game." In the '80s shared worlds were very big. Thieves World had been the first successful one, and there were a dozen others, but no one had done a superhero shared world. So I thought there was an opportunity for Wild Cards. So I pitched it and sold it, and I've been editing it ever since. We have…27 [books] in print, and three more that are in the pipeline. We've had comic book spin-offs, we've had games spin-offs, and we have two TV series in development right now for Hulu. So a lot of exciting things are going on with Wild Cards. My understanding is that role-playing games are at an all-time high right now. Do you still play? Sadly, no. No, life intervened. People went their separate ways, and the old band split up, and everybody's off doing their own things now. I miss it, though. And as everybody in the world knows, Winds of Winter [book 6 in the Game of Thrones/Ice and Fire series] is way later than it should have been. There's a tremendous amount of pressure on me to finish it. Realistically speaking, I've had to put aside or give up a lot of things that I enjoy doing because they're too time consuming. I just have to try to focus on Winds of Winter and get it done. So I've cut down on my travel. I've cut down my conventions. The role-playing games…can become very addictive. It's almost like writing a book, but you're designing the game and six people enjoy it instead of 6 million people… so I'm not doing that anymore now. Maybe when I finish the Game of Thrones/Ice and Fire series—two more books—and then I finish something beyond that… maybe I can get back and do some more of it and enjoy that, but that's a still a few years away. How has the stress of these books [in the Game of Thrones/Ice and Fire series] affected your life, knowing that so many people are waiting for them? It's a mixed bag. Most writers, including myself, struggle all their careers to have people who are fans who are eager for their next book. For most [writers], your book comes out and it's like throwing it down a well. 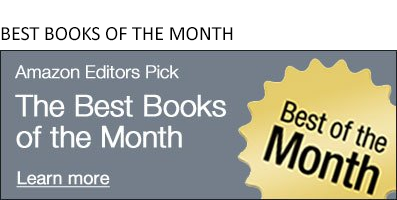 You worked on this book for a year or two years, and it's published, and then a couple reviews appear, and that's the end of it. I've certainly been there. I mean, I was a pretty successful writer by the standards of science fiction and fantasy, and in the '70s and the '80s, I had I won awards, and I've never had any trouble getting my stuff published and all of that and I made a decent living…. But this is a whole 'nother thing. In the old days of the '70s, I would do an autographing at a Waldenbooks, and eight people would come. Now it's more likely to be 8,000 people. That's very gratifying in one sense. But in the other sense, yes, you're right: There's a tremendous amount of pressure. Sometimes you feel like there are millions of people looking over your shoulder [laughs], and some of them are very, very impatient, which honestly I don't understand. It's certainly different from when I was younger…. A portion of my fans are very impatient and always sending me emails. And no matter what I tweet about, there's an element of people who are, "Well, when is Winds of Winter coming out." It doesn't matter if I'm tweeting, "Hey, Starport just came out." [The response is:] "Oh, good. When is Winds of Winter coming out?" "The Giants made a terrible trade." "Oh, okay, when is Winds of Winter coming out?" "My cat just died." "When is Winds of Winter coming out?" [Laughs] So that gets a little old. But Winds of Winter will come out. I fully expect that the day after it comes out, I will get the first email that says, "So when is A Dream of Spring coming out?" [Laughs] So, you know, there it is. Well, I'm reading the new Marko Kloos novel right now. I'm only halfway through but I'm enjoying it a lot. He's one of my Wild Card writers. He did the Front Lines series for you guys. Isn't he one of your authors? He's terrific. Yes, he's an Amazon Publishing author. He writes mostly military SF, but he's also done some great Wild Cards work for me. We brought him into the [Wild Cards] Consortium. Rebecca Roanhorse, her book Trail of Lightning—I think that's probably going to be on the Hugo ballot this year. [Editor's note: This interview took place shortly before the Hugo finalists were announced, and Roanhorse did indeed make the ballot.] She won the Campbell Award last year and also the Short Story [Hugo] Award. Last summer I was a guest at a thriller convention in New York called ThrillerFest, and they gave me the ThrillerMaster award, which was presented to me by Lee Child. I'd never read any of his books before, but he was going to give me this award, so I said, Well, I should try one of his books before I meet this guy, and I picked up one of his Jack Reacher books. Boy, what a page-turner that was! Then I picked up another one and another one…and I've become completely addicted to these Jack Reacher books. They're like literary crack. I'm almost done with all of them, but just since last July I think I've read everything Lee Child has written. They're all enormously entertaining. Bernard Cornwell! That's another one. I read his latest Saxon book, you know, the Last Kingdom series? [There's] a very good TV series based on that, too. Uhtred, son of Uhtred, and father of Uhtred, and brother of Uhtred. [Laughs] There's a whole family people named Uhtred. 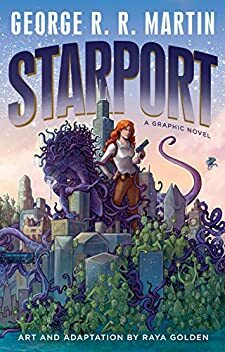 Let's talk about [your graphic novel] Starport, which recently came out. Yes, that's my newest and my oldest book simultaneously, and of course most of the work that I actually did [on Starport] I did in 1994. It was a television pilot that I developed for Fox way back when. I was a writer/producer on Twilight Zone and did work on Max Headroom. And then I was on Beauty and the Beast for all three years of its run, and then I did about five years of development—or, as they sometimes call it, "development hell"—where I was creating pilots for my own shows and writing feature films. It was very, very lucrative and a lot of fun in some ways, but also very frustrating because I like working on a show where you write a script and you rewrite it and then they shoot it and it gets on the air. In development, you're doing all this work and then most things don't get made. None of mine actually got made…. After five years, I said, "I can't do this anymore. I need an audience. I don't want to spend a year of my life developing things that nobody ever sees except four guys in a room." Starport was one of my favorites. It was a science fiction cop show that we developed for Fox. They seem to love it and love it and love it… and then they passed on it! So it has languished until Raya Golden, a very talented friend, decided that it would make good material to adopt as a graphic novel. So she really took it and picked it up and ran with it. My [Starport] script was from 1994. There were two versions of it, a first and second draft that were somewhat different. (My first drafts are always too long.) She combined the two drafts, added back stuff I'd cut, and updated a lot of the stuff that had become a little obsolete with the passage of time—like my jokes about VHS recorders. [Laughs] And of course then she illustrated it and did a beautiful job. I hope the readers out there and comic book and graphic novel fans and science fiction fans will enjoy it. I hope some of my Ice and Fire fans will check out some of this other stuff, because it all means a lot to me. 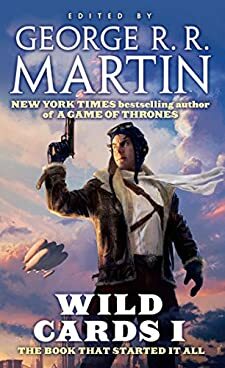 I love Ice and Fire and its characters, but I love Wild Cards too. I love my old Thousand World series. They're all my children—my literary children—and I think if you like one of my things, hopefully you'll like some of the other stuff that I'm associated with. Thank you so much for taking the time! It was wonderful talking to you.